Hold your Year 8 camp-induced PTSD in check friends, this weekend we’re going kayaking. And, holy friendship bracelets, these days it’s so much more than damp pants and a frantic “come get me” call to your parents. No, much like our other adolescent gripes (nap time anyone?) kayaking is actually pretty cool. Keen to hit the open seas? Risk sunburn in places you’ve never even dreamed? Or are your arms and upper torso begging for a workout? Here are the best places to go kayaking in Sydney. We’ve been known to loiter a little too long at Manly Wharf Hotel thanks to their bucket of prawns (we’ll say that once more. Bucket. Of. Prawns). But hush now. It’s time to set your inner Augustus Gloop aside and lap up that big blue. There’s nothing quite like a seaside cruise, but please, we’re begging you, sunscreen your legs ‘cause there’s also nothing quite like thigh burn either. Check out Manly Kayak Hire for a choice rental, they rent one or two person kayaks by the hour. If you’re new to this whole kayaking thing (or just inexperienced AF) why not try out their 4 hour guided kayak tour—did we mention it includes a picnic lunch on the beach? See you there! Whether you’re a crack ‘o’ dawn worm catcher, or prefer to start the day with a little sun on your shoulders, Pittwater has a kayaking adventure for you. 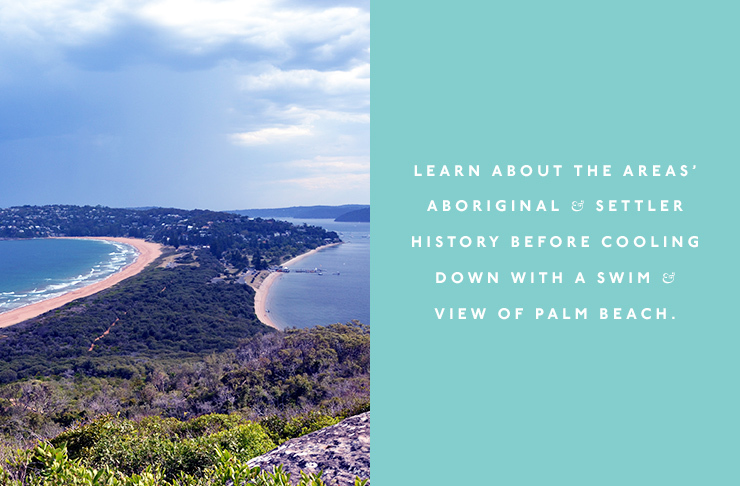 Take a two or three-hour tour at either sunrise (6am – 8am) or morning (9am – 12pm) and learn about the areas’ Aboriginal and settler history before cooling down with a swim and view of Palm Beach, Barrenjoey and more. The only question that remains is whether there will there be enough room on the sunrise tour for our daily bucket of coffee. Right by Dangar Island and Little Wobbly—whatever that is—lies Brooklyn. Hit up Hawkesbury River Kayaks for a fair dinkum kayaking experience (just make sure to call ahead to book) and select from a range of routes including Dangar Island (20 minutes), Jerusalem Bay (1.5 hours) and Cottage Point (2-3 hours). You’ll be singing, “just around the river bend” before you know it. This one’s for the keen kayakers with an appreciative eye for bushland and a Kathmandu membership. The Nepean is nothing to sneeze at, stretching 100 kilometres, 25 of which are tide-free near Penrith, and practically made for cruisin’. Rental kayaks can be found at Horizon Line so get ready to celebrate this wide brown country in one of NSW’s largest catchments. We’ve waxed lyrical about Balmoral before. And likely will to the end of our days so settle in buckaroo. If optimum paddle-boarding seas, netted swimming area and seafood platter at The Boathouse weren’t enough to tickle your fancy, the kayaking digs will certainly win you over. Kayak rental is available from a number of businesses including Balmoral Boatshed (off the back of The Boathouse) and the local sailing school. 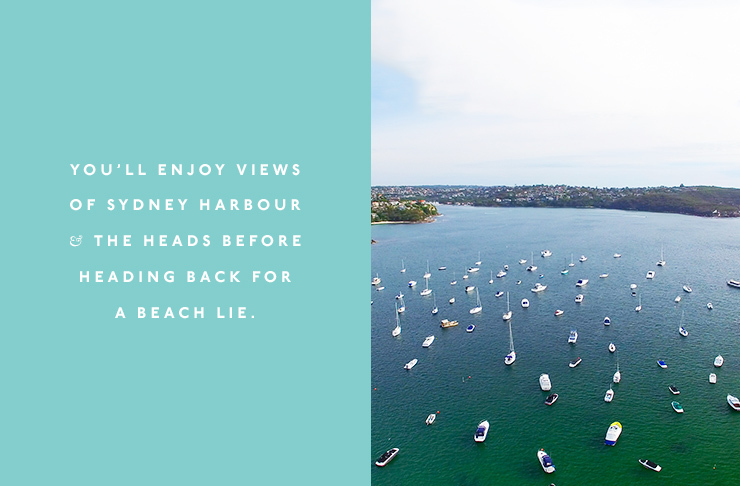 You’ll enjoy views of Sydney Harbour and The Heads before heading back for a beach lie. We honestly can’t recommend Narrabeen Lagoon enough. As much as we loathe a cliché, it really is ‘fun for the whole family’ damnit. Need a rental? Pro Kayaks or Jamieson Park Paddle will help you out but if you’re no stranger to a roof rack and have your own gear, head to Middle Creek reserve quick smart. Finally, if your partner/family member/person you’re trying to impress is down with the kayak life, but you prefer dryer pastures, Narrabeen Lagoon also offers a two-hour walking trail. The less-crowded cousin of Manly Wharf, Spit Bridge is the spot for kayakers who prefer their elbows kept to themselves. Whether you bring your own or grab a rental (Sydney Harbour Kayaks will help you out), one thing’s for sure, it beats sitting in traffic waiting for the bridge to lower*. Stop off at Chinaman’s, Clontarf or Balmoral beaches to the east, or Sailors Bay to the west, for a mid-paddle siesta. *Fun fact: it takes 15 whole minutes for traffic on either side of the bridge to return to normal after lifting. Harbourside, easterly and too good looking for its own good (you can see both the Opera House and Harbour Bridge for crying out loud), Rose Bay is perfect for the kayaker in search of an ambient backdrop. Kayaks are available from Rose Bay Aquatic Hire in both double or single seats. Pro Tip: choose the double and sit up front if you’re more of a sidecar guy/gal or have the upper body strength of damp linguini (guilty). Not set on the long drive? Keen to get your toosh in a watercraft already? Rozelle Bay has you and your instant gratification needs sorted. 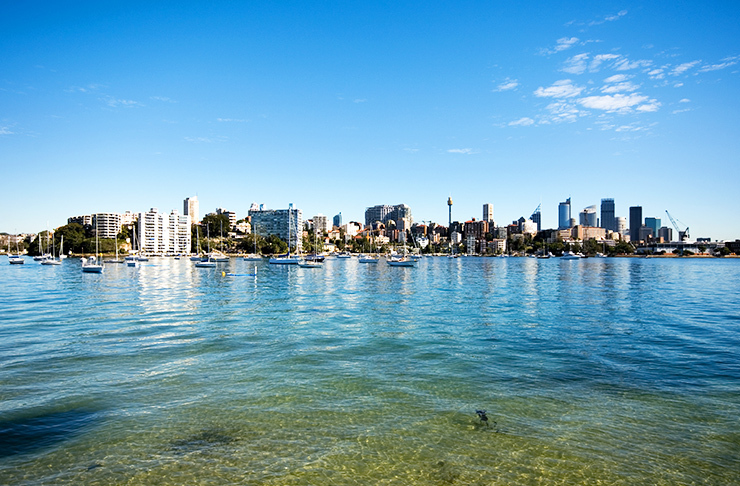 Visit the Balmain peninsula or wander up to Cockatoo Island with a rental from Annandale Boat Hire. While you’re in the area, why not call on Egg of the Universe for a spot of yoga and wholefood dining? Don your best neoprene and toss your possessions in a water-safe bucket, we’re headed for Woronora River. Hedged by the Dharawal State Conservation, the 36-kilometre long trek will give you a run for your money with steep banks, rocky platforms, tributaries (Loftus Creek and Georges River) and at the end of day, arms Michelle Obama could only dream of. Pop into The Boatshed at Woronora for canoe or kayak hire at a great price, and an all-day breakfast that’ll have you questioning the true purpose of your trip. Open seven days a week from 9am – 5pm, Audley Boatshed is here for you, rain, hail or shine. Start off at the Boatshed; they’ll get you set up with a kayak (with a winning deal of $45 for all-day hire), before choosing your adventure. 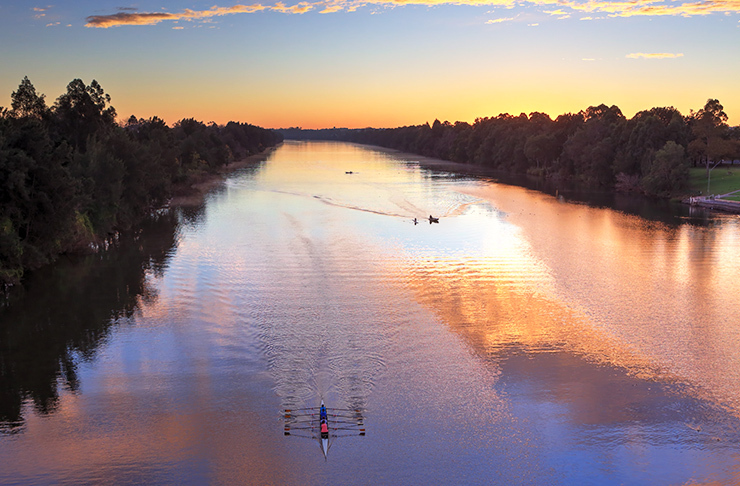 Will you go for a short paddle up Kangaroo Creek or Huckleberry Finn it up Hacking River? The choice is yours. Ain’t no other way to cut it. Ku-ring-gai Chase National Park is a biggun. Smack bang in the middle ‘tween Berowra and Avalon Beach, this National Park is a health retreat on water—just close your eyes and glide along. A 16km tour is also available should you wish a little guidance—we can’t all be Bear Grylls. Take a break between paddles for a Bobbin Head picnic, or a stroll along the Aboriginal Heritage walk featuring rock art and engravings from the Guringai. Sydney's pretty great for water sports as well, see.